Frank Feiler has over 25 years of experience in working with many business owners on strategic issues relating to business valuation, growth strategies, and exit planning. He brings an independent perspective to putting a price tag on your business by working closely with owners to arrive at a fair value based on comparable business transactions. Divorce. A business owner who is getting divorced faces immediate monetary pressure to value and divide the marital assets. Determining a fair business valuation can be difficult both financially and emotionally. Partner Disputes. Strategic planning for product development, market expansion, or the need for outside funding can pit one partner against another, resulting in irreconcilable differences. When the existing partners no longer agree on key initiatives, it is not uncommon for a dissenting partner to seek a buy-out. Business Financing. Many banks request an independent business valuation as part of a loan application process. Bankers need confirmation that the assets and cash flow of the business are sufficient to support loan repayments in a timely fashion. Estate Sales. A family-owned business frequently ends up in an estate when arrangements for the transfer of ownership were not made prior to the owner’s death. Surviving family members frequently do not have the interest or ability to manage the business. When this happens, the business must be valued both for purposes of settling the estate and/or the eventual sale of the business. There are many ways to value a company. Mr. Feiler understands that this is both a personal as well as a business exercise. Many business owners assign a high emotional value to the years of hard labor they devoted to starting and building their business to the point of success. Buyers, however, typically take either a textbook approach or look at the value of comparable business sales. Frank begins a business valuation with an in-depth review of all financial statements, including the profit and loss statement, balance sheet, and cash flow analysis for the most recent three to five years. Multiple comparables are used to determine the right valuation for your business, such as recent industry statistics and comparable pricing for closed transactions. 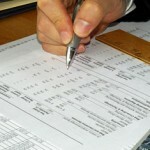 Mr. Feiler also works with your accounting firm as part of the valuation process. A typical business valuation engagement involves a company with annual revenues between $100,000 and $10 million. Frank Feiler welcomes your inquiry. You can reach him via email or by phone at 561-445-4040.